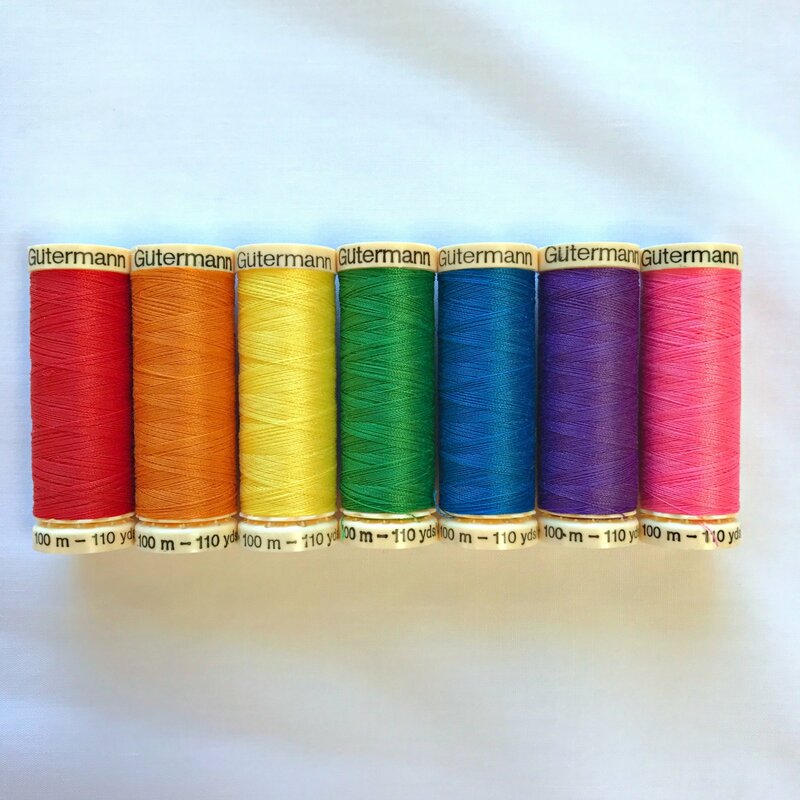 Add on a matching spool of Gutermann Sew-All Polyester thread to your order! Simply fill in the box above with the fabric name you'd like your thread to match. If we're matching thread to a print or multicolored fabric, our expert staff with pair the thread with the background or predominant color. You can also input a color number if you already know exactly what you want! 1 spool = 100 meters (110 yards) of all-purpose 100% polyester thread. If you'd like more than one spool, you can adjust the quantity above.